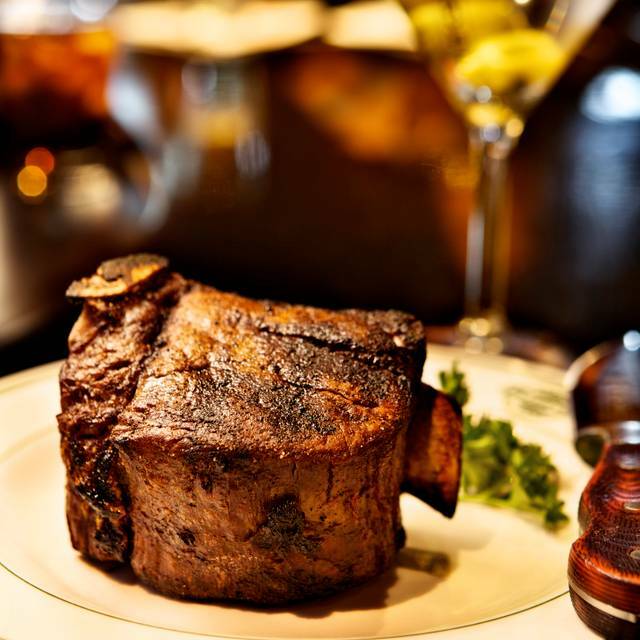 Masculine, bright, accented with wood & leather, Manny's evokes the great steakhouses of New York & Chicago - & eclipses them in critical & popular acclaim. 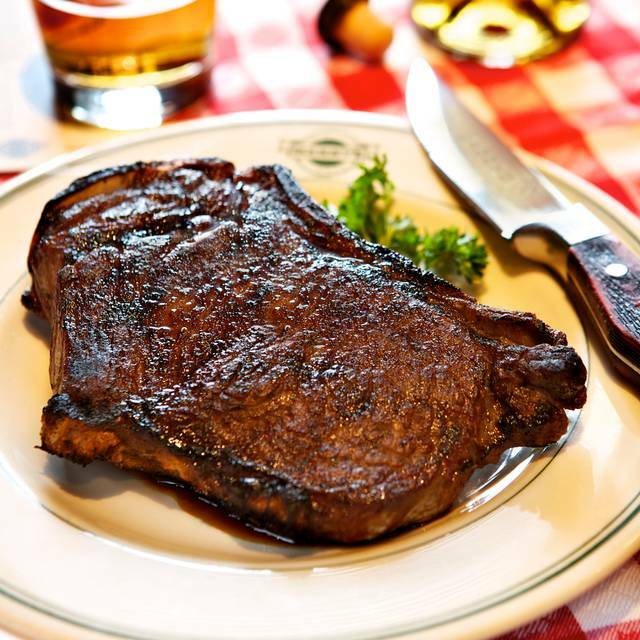 Rated Top Five in the U.S. by the Zagat Guide, named one of America's top Steakhouses by the Knife & Fork Club, Men's Journal & the Independent Cattleman's Association, & a perennial winner of newspaper & magazine reader polls, Manny's commands a fanatical local following & a national reputation. Wrote the New York Times: "There's good news in Minneapolis for those who still share the secret pleasures of red meat, well-cut & seriously served." 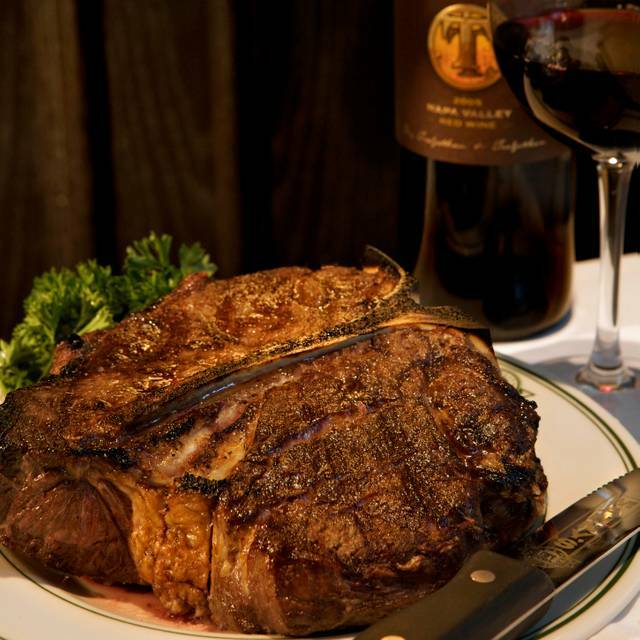 In addition to USDA-certified, dry- aged, center-cut beef, Manny's offers chops, chicken, fresh seafood & a Wine Spectator Award-winning wine list. Regular, with onion, or for an additional charge "loaded"
Great meal -- great waitress! Easter brunch was great. The service was fantastic from arrival to departure. Great food and amazing people. Service on this occasion was subpar, e.g., empty plates accumulated on table. Nice Easter buffet, but prime rib was undercooked. Great service! Great food! No matter what the occasion Manny’s never disappoints! We celebrated my husband's birthday at Manny's. We had an early dinner on Good Friday so it was pretty quiet, which we enjoyed. Our waiter, Alan, was very attentive and great to talk to. The food was excellent. I ordered halibut and my husband had the rib eye which was grilled perfectly. Alan brought out an amazing chocolate mousse/brownie dessert that was enough to feed 6 people! 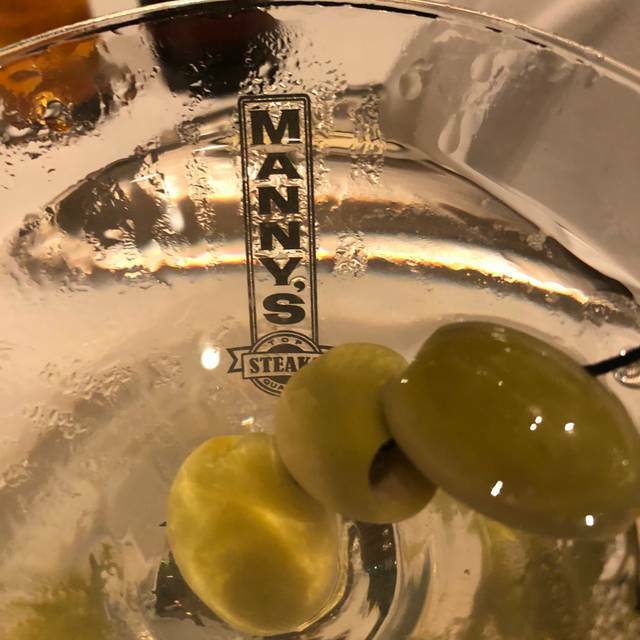 It was our first visit to Manny's, and it definitely lived up to it's reputation! Tammy is amazing! I will definitely request her as my server next time we go! The house Merlot is amazing! Way too expensive. 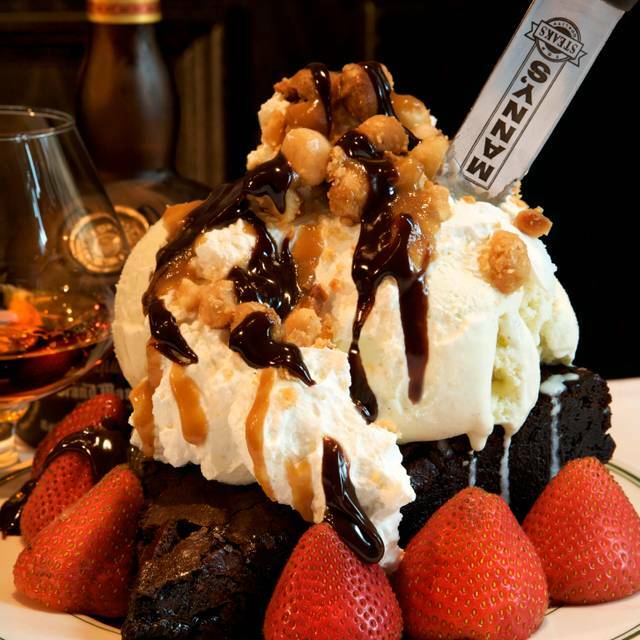 Food is marvelous and high quality. $75 dollars for a NY strip is obnoxious. 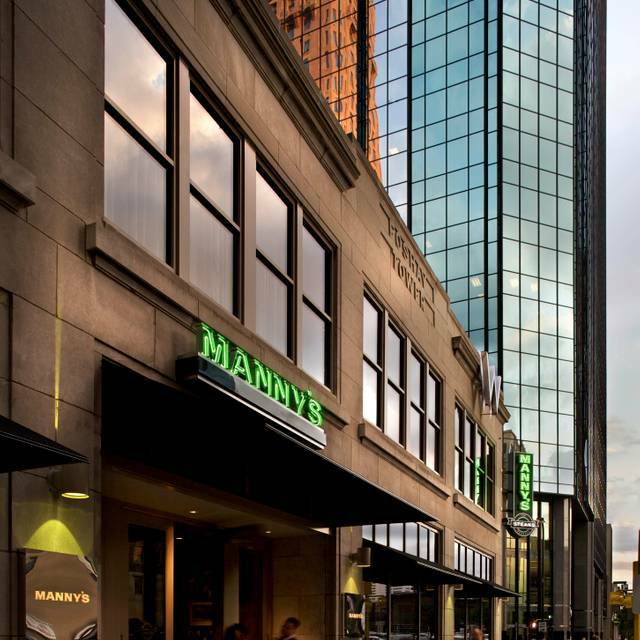 I have eaten at many high steak restaurants and Manny’s is by far the most expensive. Other than that, it is a great restaurant. Service was very inattentive. Server would frequently disappear for extended periods of time & did not respond promptly to requests. When food finally arrived, it was quite good. Fortunately, I did not have a pressing commitment & was able to spend 1 3/4 hours at lunch. Excellent food, superior service, great ambiance. Just a smidgen overpriced, but the exceptional service made up for it. They even slice your steak or lobster for you so that you don't have to struggle with it! And our waiter bought us dessert to take home (because we were full) for our anniversary! Portions are generous. We shared and still had 2 more meals at home! 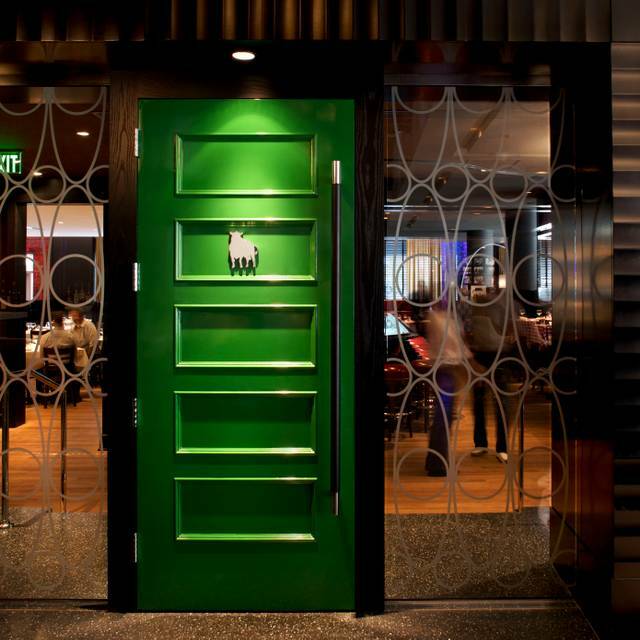 If you are looking for a classic steakhouse vibe with great food to match look no further. This place was amazing, our server, Sam was wonderful, and the food was great. We got three different cuts of steak and had them cut up for us so our table could try them all. 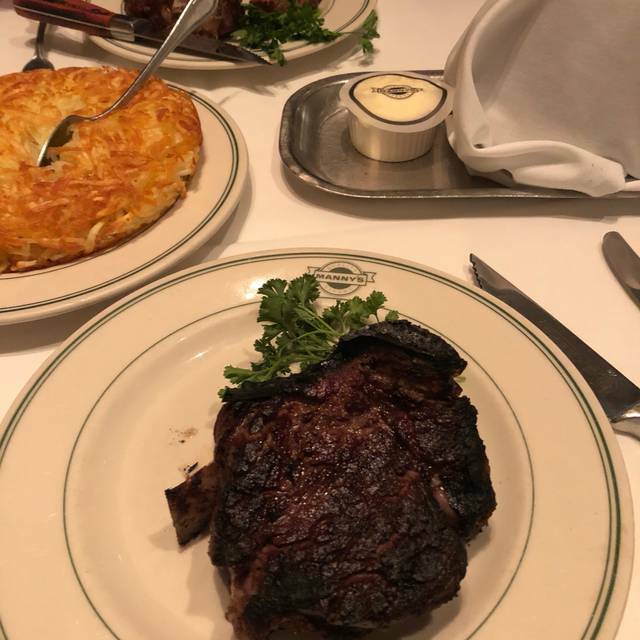 The filet mignon was so buttery and tender, the new York was delicious, but the show stopper was the Manny's cut. Apparently, they don't always have that cut available and recommend you call in advance if you want that particular cut of meat and I highly recommend you do. We got lucky and they had one available and got it on Sam's recommendation and I can say it was the best steak I've ever had! Absolutely no taste to any of the food. Overpriced for the bland taste. Awful experience. I was even burned on my arm during the meal. Manny's is always fantastic food. It has been a few years since I have been to the restaurant. I was surprised at the increase in cost. Steak was just OK expected more! Excellent food, excellent service! We celebrated my 40th birthday, it was special! Celebrated our boys' birthday...it's become an annual tradition. No better place to celebrate! Amazing from the greetings at the door when we came in to the goodbyes when we left!! Super friendly and efficient staff - amazing server (Peter - love him!) My "foodie" adult children were instagramming away!! Best food - EVER!! Girls Brunch before attending the beer tasting at the convention center. Patrick was our server and I cannot say enough nice things about him. Excellent very friendly service with many valuable recommendations. Sharing the rib-eye and asparagus was the perfect mid day meal. Service and atmosphere was great. The steaks weren't very good and nowhere near the value of what they were being priced at. 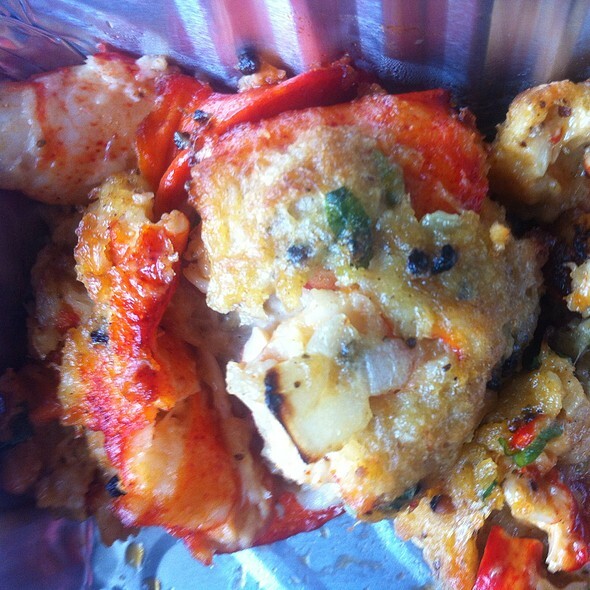 Lobster cakes were fantastic. Ordered a Bone-in-Ribeye medium plus and it came out rare. Shouldn't happen in a place like this. A meal that keeps giving with plenty to take home to enjoy another day! The food and ambience was everything we expected, but our server Patrick made all the difference for us. Apart from exemplifying attentiveness to our needs, he gladly responding to our many questions as first time visitors to Minneapolis. We will never forget our first trip to the Final 4, but we will long remember our fabulous experience at Manny’s. Never had a bad meal there yet! We celebrate all of our special occasions! Been to Manny’s several times and it is always great! Food is amazing, wine list is deep and over-priced, service is o-standing! Booked reservation for full lunch but when arrived was told only buffet available. Brunch was outstanding. Loved the lobster truffle scrambled eggs. This was my second time to Manny's and the experience was even better than the first. Great service and knowledgeable waiter. The food is amazing period! Best steak I have ever had both times, the NY Strip and Fillet. Food was good. A LOT of food! I have Been here twice, and could recommend this place. The food was only sub par this time. Service from the server was outstanding but the host stand always keeps me never wanting to come back. At least one of my guests or client of mine will always ask “Why are they so snotty?”. Absolutely delicious meal! Fantastic service and our server Shawn was great!